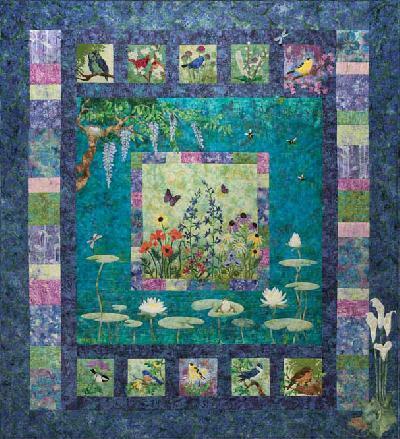 Completed design size 31" x 31"
Completed design size is 46 1/2" x 21"
Completed design size is 54 1/2" x 22 1/2"
Completed design size is 34 1/2" x 34 1/2"
Completed design size is 11" x 26 1/2"
This quilt is just the most beautiful design imagineable. 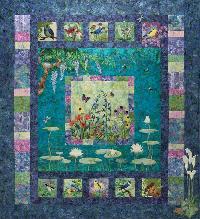 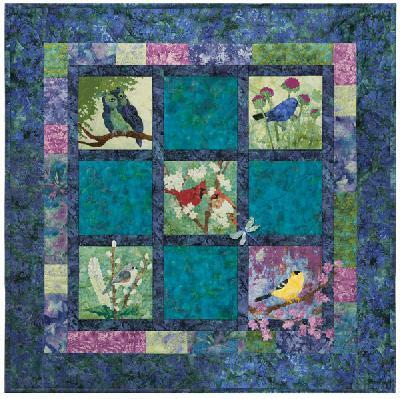 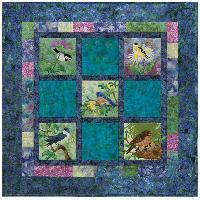 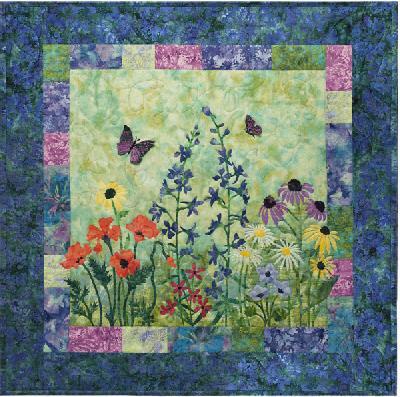 Featuring all our favourite garden plants and birds this quilt is made up of a wonderful array of colourful fabrics. 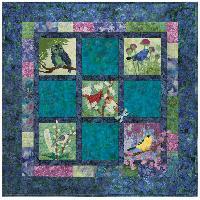 The completed design size is 69" x 76" and the cost of the pattern set includes the Registered post.